Lawmakers gave first-round approval Jan. 31 to a bill that would move the responsibility to collect and remit a surcharge on prepaid wireless phones from service providers to retailers. Nebraska wireless customers pay three surcharges administered by the Nebraska Public Service Commission, including one that funds wireless E911 service and another that pays for telecommunications services and equipment for those with hearing or speech impairments. 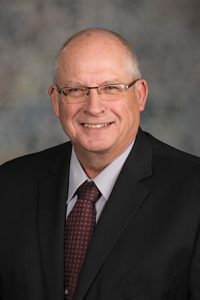 LB157, introduced by Sen. Curt Friesen of Henderson, would change how the third surcharge—for the state’s Universal Service Fund—is collected and remitted. The fund pays for programs that ensure urban and rural Nebraskans have comparable accessibility to telecommunications services at affordable prices. 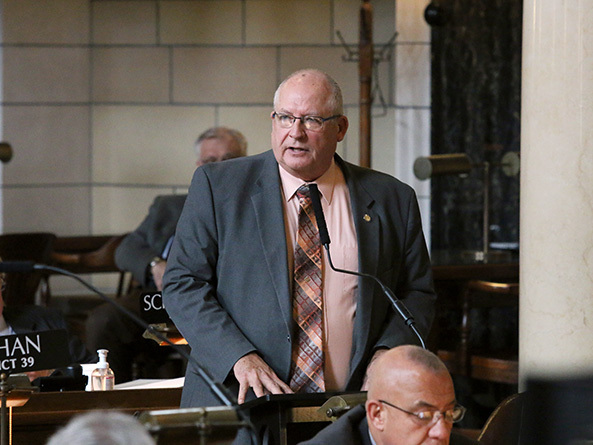 Friesen said retailers currently collect and remit the first two surcharges to the state Department of Revenue, which then transfers the funds to the PSC and the state treasurer. Wireless providers currently are required to remit the USF surcharge directly to the PSC, but LB157 would require sellers of prepaid wireless products to collect and remit the USF surcharge to the Department of Revenue like the other two surcharges. Under current law, retailers may retain 3 percent of the wireless surcharges they collect from consumers. The Department of Revenue may retain 2 percent of prepaid wireless surcharges to reimburse its administration costs, but LB157 would reduce that to 0.5 percent. Friesen said the bill also would make the remittance process easier for small retailers. Under LB157, retailers would be required to remit prepaid wireless surcharges on a monthly basis unless they collect less than $1,000 in surcharges in the previous year. In that case, they could remit annually. After adopting two technical amendments, senators voted 32-0 to advance the bill to select file.